All playable. All the time. Turning on GHTV is similar to turning on your regular TV. Pick a channel and dive right in. Don’t like what’s on? Just switch over to another channel and play a new song. You’ll earn in-game currency in GHTV that you can use to play songs on demand or to acquire a ton of different items in the game like custom note highways, player cards and more. In GHTV you will have access to unique personalization items. Customize your note highway and player card to show off your style. 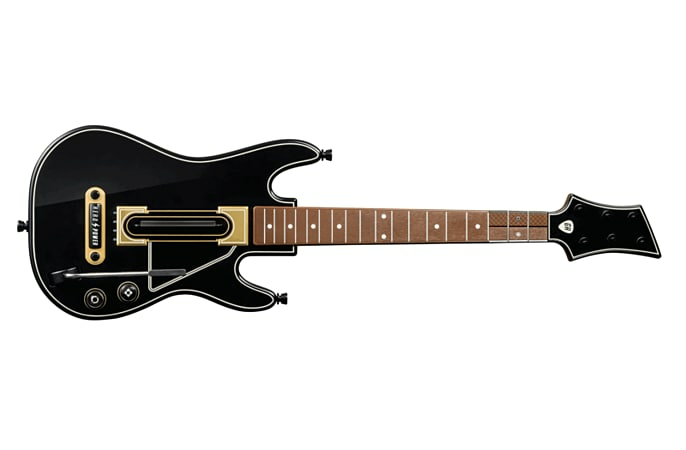 The guitar controller was redesigned for the best gameplay across all skill levels. 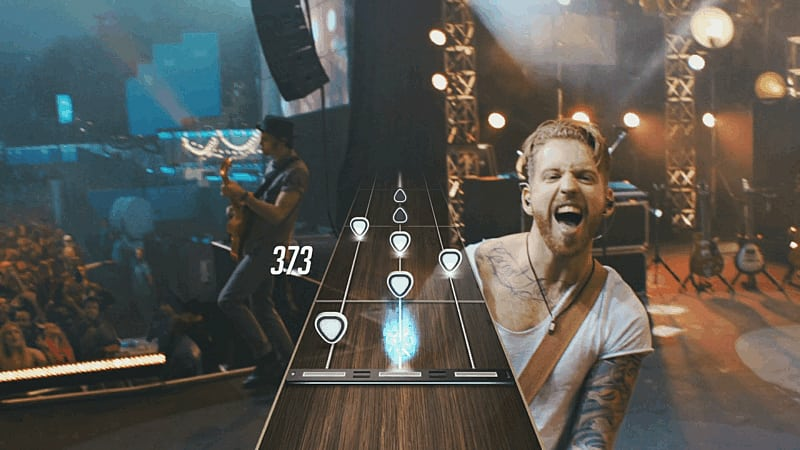 The new 2x3 button layout makes it easier to play with only three buttons, or, on veteran, it starts mirrors what it’s like to play chord shapes with all six buttons, making the game easier for beginners and harder for experts. 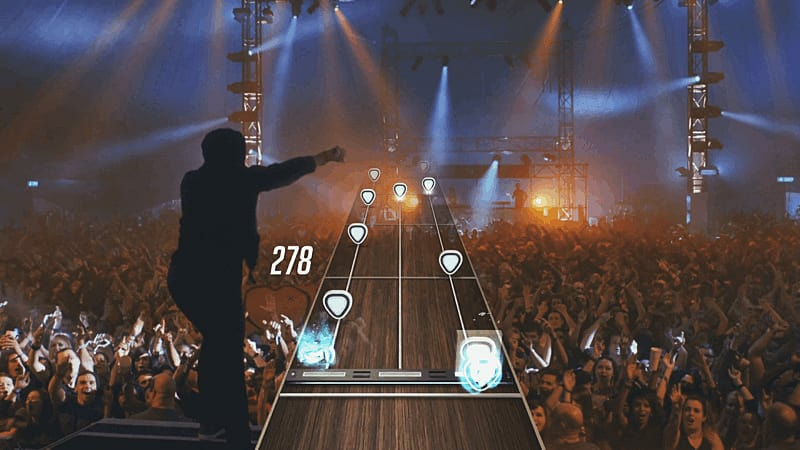 The guitar controller has been updated to reflect the new style and realism of Guitar Hero Live. The new 2x3 button layout creates the feeling of switching between strings and provides an enhanced experience when playing chords. Why mess with perfection? The strum bar you know and love is back in all its glory. 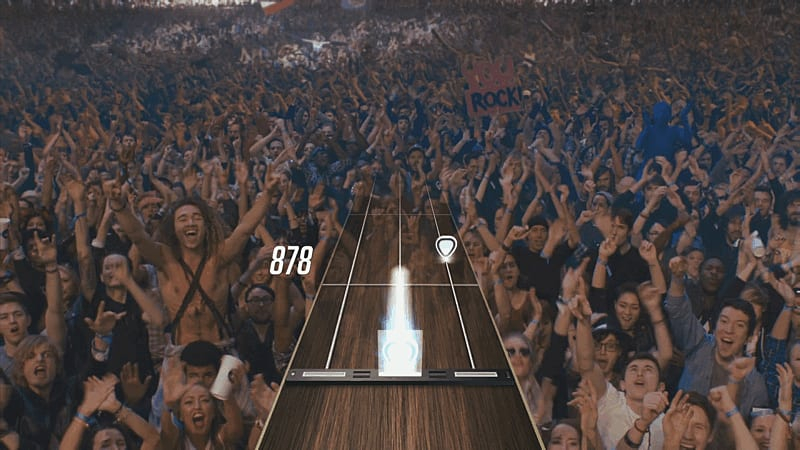 Use the guitar’s tilt sensor or the new Hero Power button to activate one of the many newly available Hero powers. 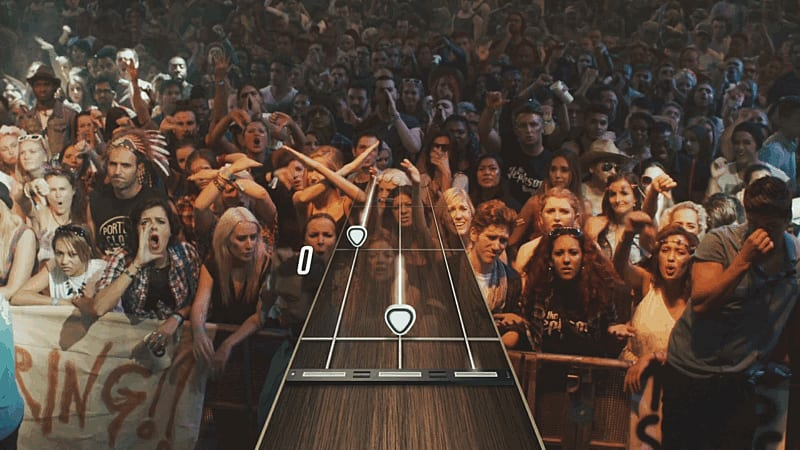 Offering even more ways to play together, Guitar Hero Live adds another layer of social gameplay to your living room with vocals, letting singers take the stage. 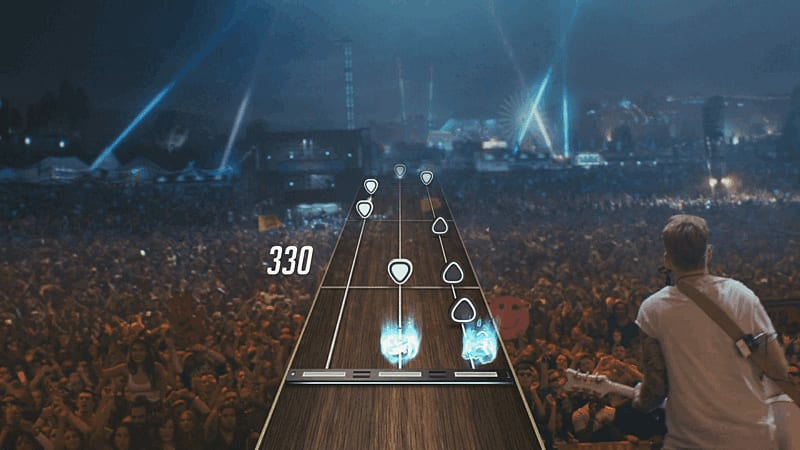 Vocalists will be able to accompany the Guitarist with their very own lyrics highway at the top of the screen. All you need is a USB mic and you’re ready to rock out. 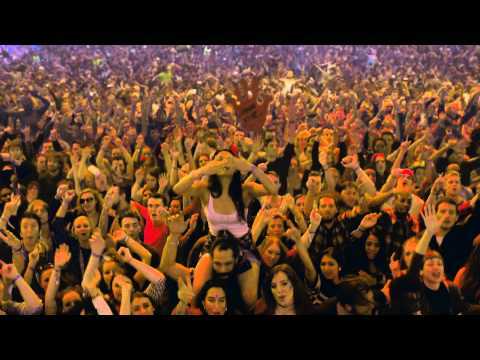 GH Live, where you can rock real crowds with real reactions and GHTV, a continuous broadcast of playable music videos, with a library of hundreds of videos across multiple genres, there's something for everyone. Make sure you’re one of the first to rock out.